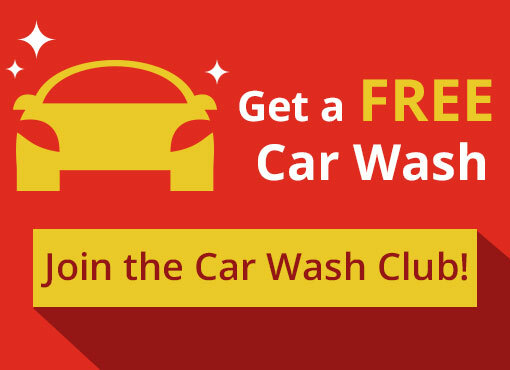 GET YOUR FREE WASH JUST FOR SIGNING UP! Auto Paradise Car Wash is a 24 hour drive through car wash where Midland and San Angelo drivers come to clean their car, truck, or SUV affordably and thoroughly. We’re just not any ordinary car wash business though – we make it easy and fun to wash your car! Our Wash Club provides members special offers, discounted prices, free birthday washes, and much more. The more you visit, the faster the rewards pour in. Auto Paradise Car Wash is the leading car wash business in all of San Angelo and Midland, TX as we have four locations that are open 24-hours a day. We are one of two car wash companies in the city that are members of the WaterSavers® program with the International Carwash Association®. We strive to conserve water by having partial or 100% water reclaiming systems. This way you can wash without feeling guilty about wasting water! Each month we donate money towards a specific charity to help give back to the community. Some of the charities we’ve raised money for include the Central Bobcat Band; the Children’s Advocacy Center of Tom Green County; the Boys and Girls Club of San Angelo; the Lee Middle School Band; and Justice Home to name a few. In the past year, Auto Paradise Car Wash has raised over $10,000 for local community organizations. We appreciate your business, and appreciate even more your donation to a local charity that could truly benefit from your generous donation. To make a donation, all you have to do is choose “Fundraiser” wash during your next visit. You’ll get the ultimate car wash experience with the best soaps, waxes, and polishes. 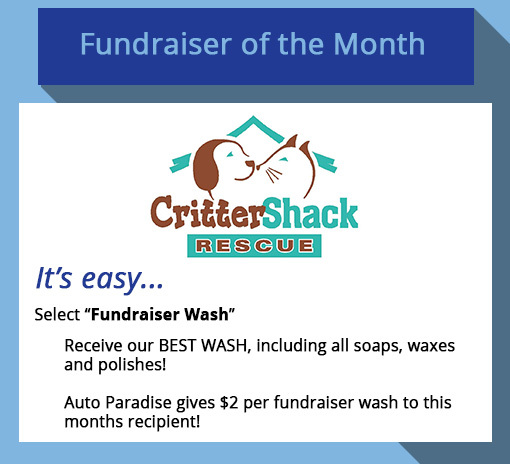 Auto Paradise will donate $2 per fundraiser wash to the chosen charity for that month.